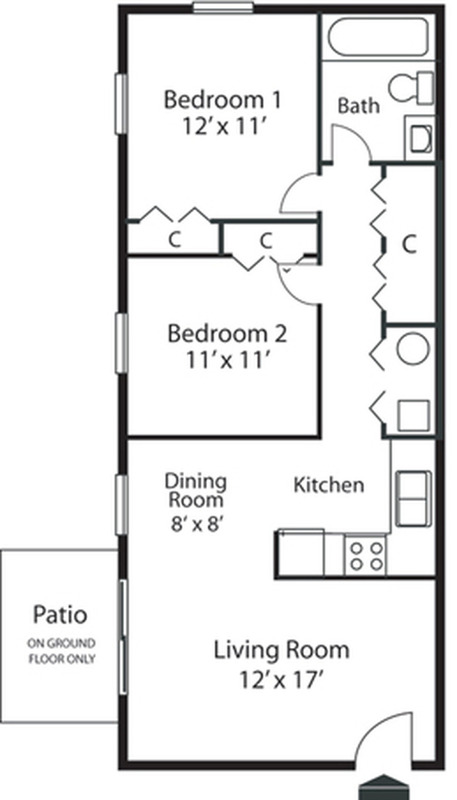 The 2 Bedroom apartment has a large living room and dining room combination. 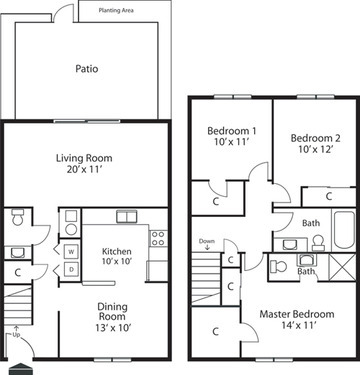 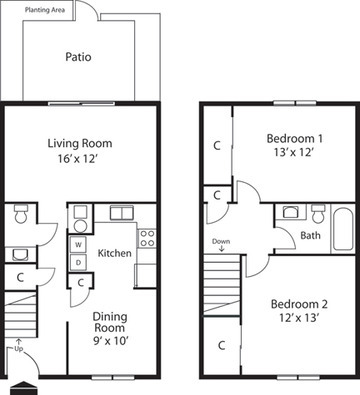 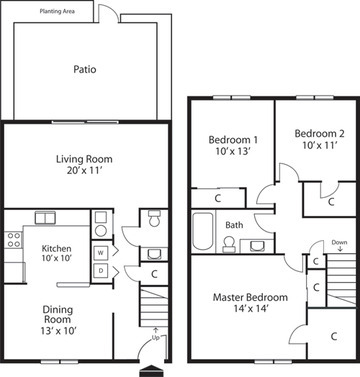 The 2 bedrooms are side by side and both feature personal closets. 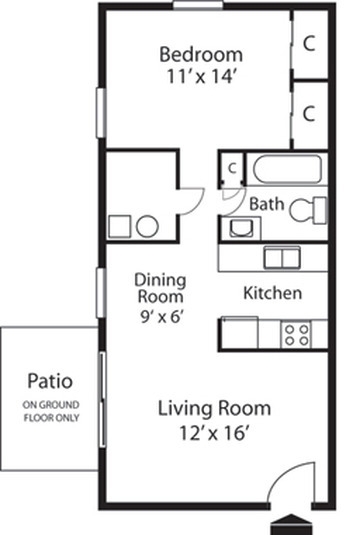 For your convenience a laundry care center is available in each building. 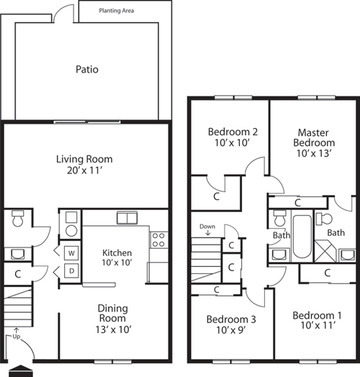 You will love calling Braeburn Village Home!